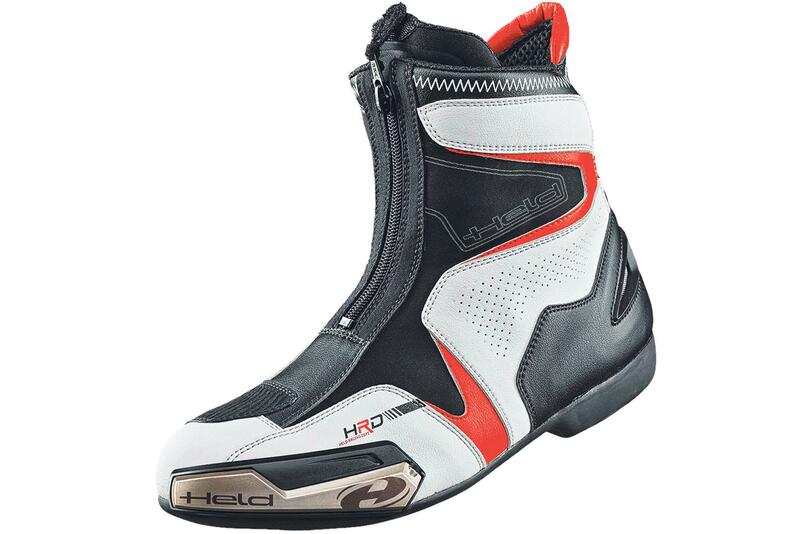 What's good and what's not about these Held Shortlap boots (£147.99)? The good... Super-comfy, short- style racing boots are designed to be worn with leathers over the top, or beneath riding jeans. The front-entry zip makes getting them on and off really simple, while the perforated leather upper ensures you stay cool in the summer heat. Features include a gear-change pad and removable sliders. And not so good... Being short, there isn’t the shin protection you’d get from a full-length race boot.